TRUJILLO/THE SILVER RIDER/OOFT!/P SOL Night Shift vinyl at Juno Records. 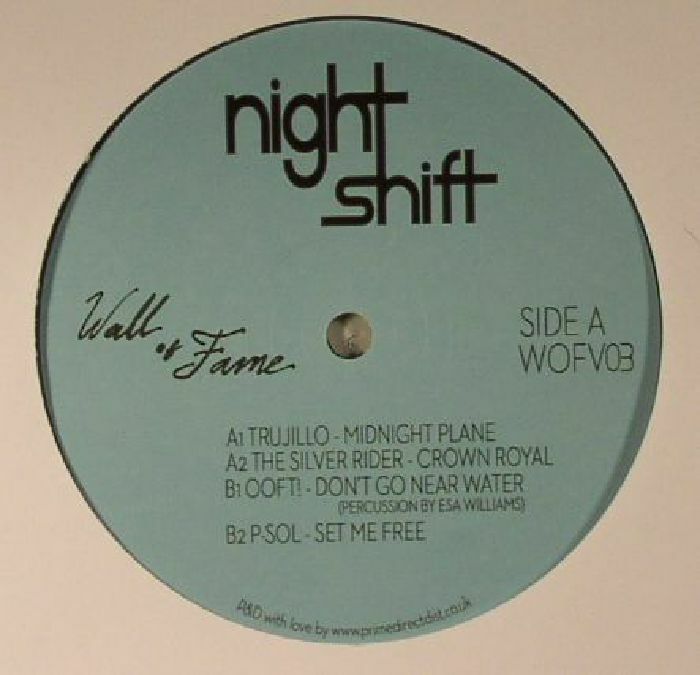 As with previous Wall of Fame releases, Night Shift is an all-star affair, with a quartet of producers each delivering a track that blurs the boundaries between re-edits, remixes and original production. 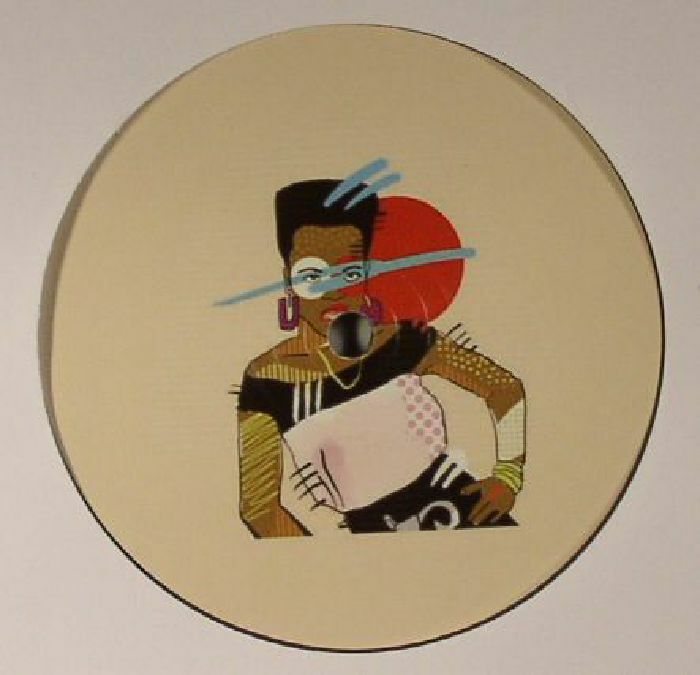 Trujillo kicks things off with the gentle nu-disco breeze of "Midnight Plane", where soft-focus disco beats and eyes-closed pianos are joined by an undulating electronic bassline and reheated chords. The Silver Rider dives into filter-heavy disco-house territory on the bumpin' "Crown Royal", while Ooft recruits Highlife/Huntleys & Palmers man Esa Williams for the deep disco meets deep house warmth of EP highlight "Don't Go Near Water". Finally, P-Sol necks a fist-load of happy pills and reclines with a pile of lazy, sun-kissed jazz-funk records on the sleepy "Set Me Free".